Did you see the word Pesto in there with Tomato and wonder if I’d finally lost it? one of the few kitchen gadgets that quite surprisingly, I don’t own. Yet. You can make all kinds of pesto. Staying in the green family, you have the traditional basil, spinach, arugula (one of my favorites), or even cilantro. This recipe goes red with sun-dried and roasted tomatoes. One of the things I love about this recipe is that since it uses little cherry or pear shaped tomatoes, you can make this all year round and not just when fresh garden tomatoes are in season. Cherry/Pear Tomatoes, Sun-dried Tomatoes, Olive Oil, Cheese Ravioli, Fresh Spinach, Walnuts, Garlic, Thyme, Basil, Red Pepper Flakes, Goat Cheese, Salt & Pepper. Roasting cherry tomatoes is such an amazing thing. 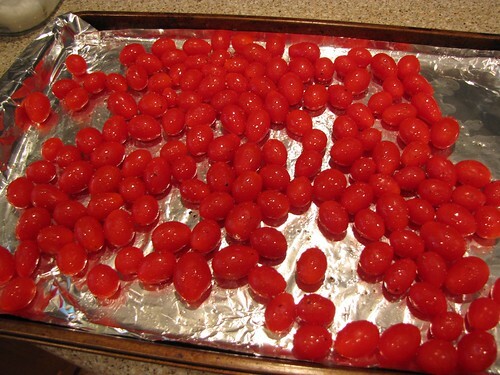 Roasting concentrates the flavor so they become these super little tomato bombs. Once you’ve roasted up a batch (and stood there eating them warm off the tray), it won’t take you long to think of all kinds of other uses for these little beauties. Start with this quick chicken with spicy roasted tomatoes and go from there! Place 2 pints of cherry or pear shaped tomatoes on a foil lined baking sheet. Drizzle with a little olive oil (about 1 Tablespoon) and season lightly salt & pepper. 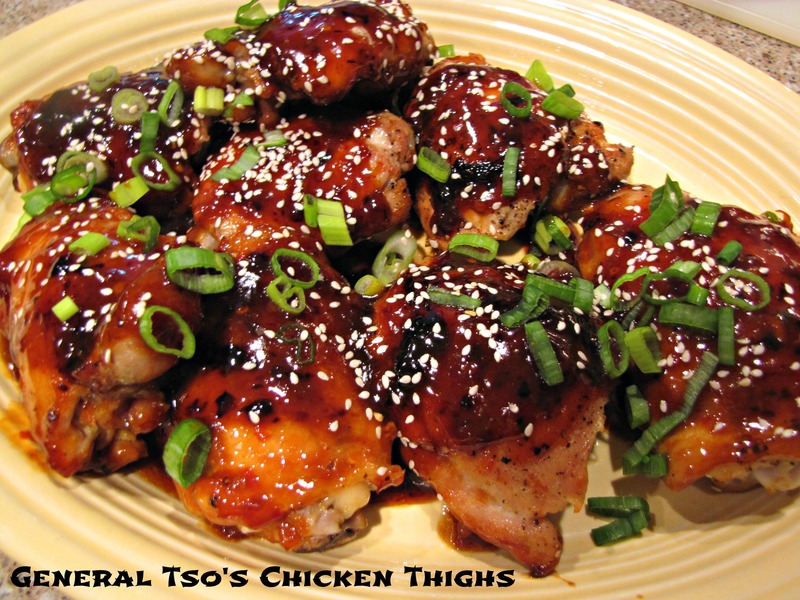 Give them a quick toss around the tray to coat evenly in the oil and spices and then into the oven they go. 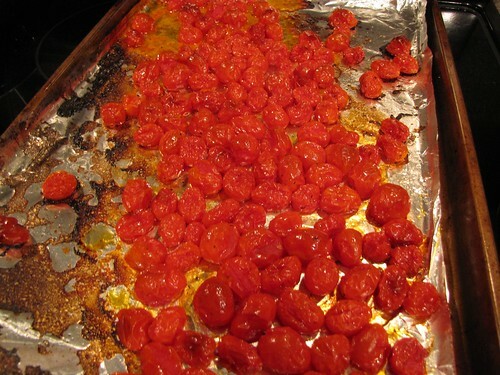 Bake at 350 degrees for 35-40 minutes until the tomatoes are shriveled up, super concentrated, and sweet. Set the roasted tomatoes aside and try not to eat them all. 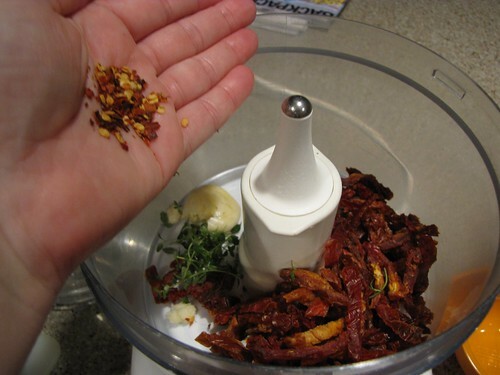 While the tomatoes are roasting, you can multitask and make the sun-dried tomato pesto. 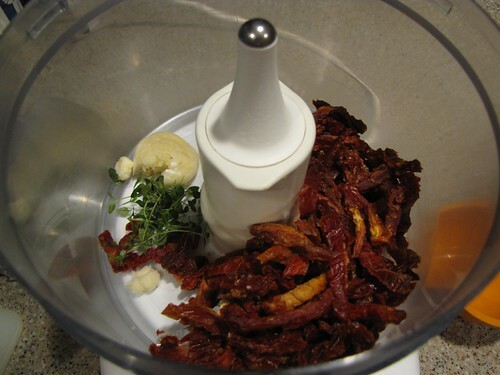 Put 1/2 cup of dried (not packed in oil) sun-dried tomatoes in the bowl of a food processor or sturdy blender. When you’re shopping for sun-dried tomatoes, look for ones that feel soft to the touch. If they are hard and crunchy in the package, keep looking. Think of these like the tomato cousins of raisins. You don’t want them to be hard and stale. I found a huge bag of sun-dried tomato strips at Costco. These are also an ingredient that you can just toss into soups, salads, onto pizzas, into hummus…so many good things. 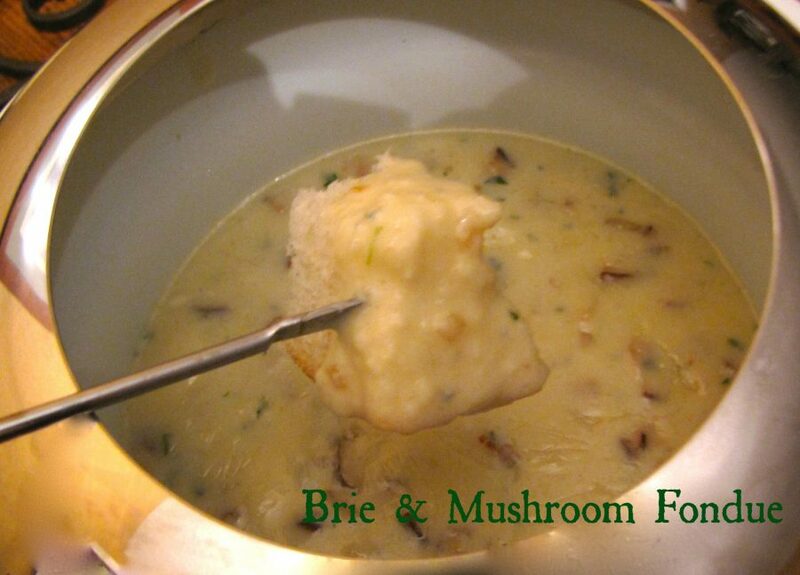 Add 1-2 cloves of garlic, 1 Tablespoon of fresh thyme leaves, and 1/2 teaspoon of red pepper flakes. Add a pinch of salt & pepper. Pour in 1/3 cup of good olive oil and give the food processor a whirl to grind everything into a thick paste. 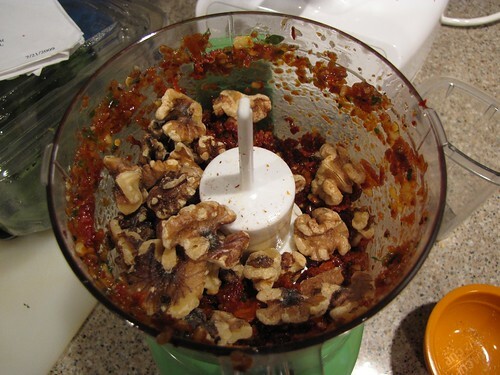 Add 1/3 cup of walnuts. You can lightly toast the walnuts for extra flavor. I’m about 50/50 with taking the time to toast the nuts. When I do, they taste great. When I get behind or forget, they’re still perfectly good. 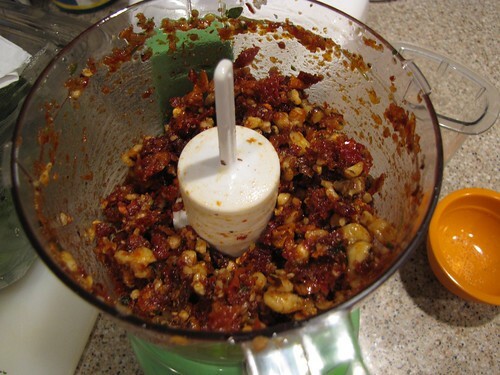 Pulse the food processor to chop the nuts and further blend the pesto. This should be fairly chunky and thick. Ravioli! Soon I will make my own (I got nifty ravioli molds for my birthday) but today is not that day. Any variety of cheese ravioli that you like will do the trick. Bring a large pot of water to a boil. Salt the water and add the frozen ravioli (do not defrost them) to the boiling water. 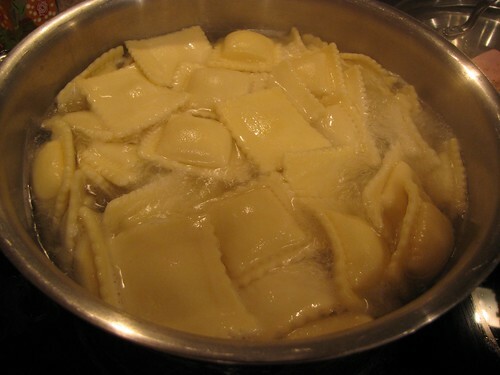 I have about 1½ pounds of ravioli. 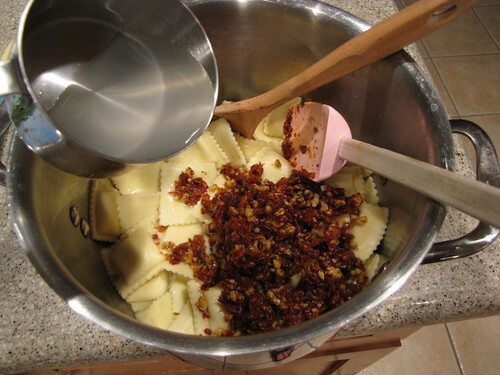 Give the ravioli a VERY gentle stir with a big wooden spoon. Don’t jostle them around too much or they will break open. 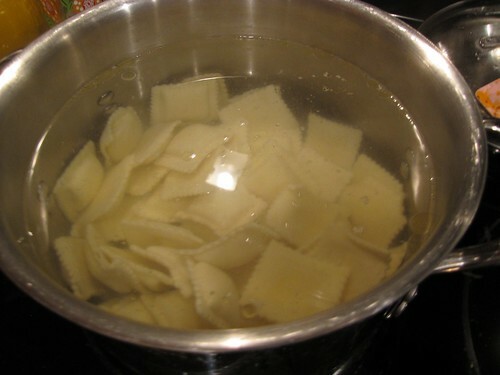 When the pot comes back to a boil, the ravioli will cook and then rise to the top of the pan. When all of the ravioli are floating, cook them for just 1-2 minutes more always watching to be sure they are not splitting open. Scoop out about 1/2 cup of the ravioli cooking water and then gently drain the cooked ravioli in a colander or strainer. 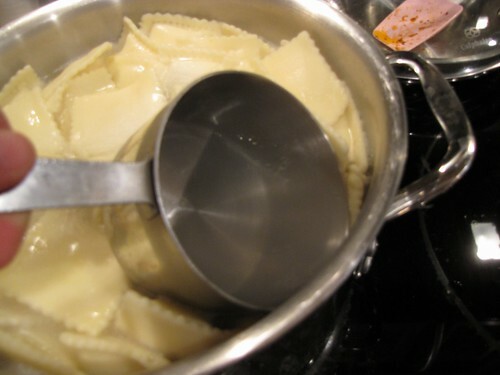 Return the ravioli to the warm pot off the heat. 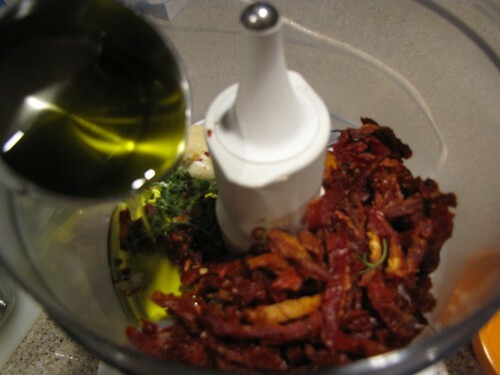 Add the sun-dried tomato pesto and a bit of the cooking water to help the pesto coat the pasta. You won’t need all the cooking water…just add it a bit at a time to help thin things out. 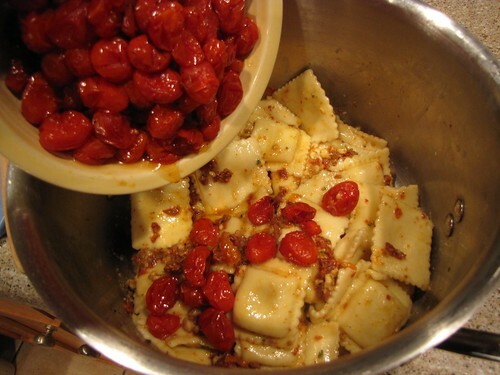 Add the roasted tomatoes and gently fold them into the ravioli. 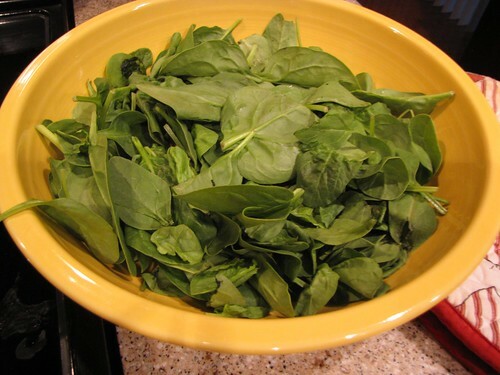 Grab a large serving bowl or platter and fill it with 4-5 cups of baby spinach. I used most of a 10 oz. bag of pre-washed baby spinach. 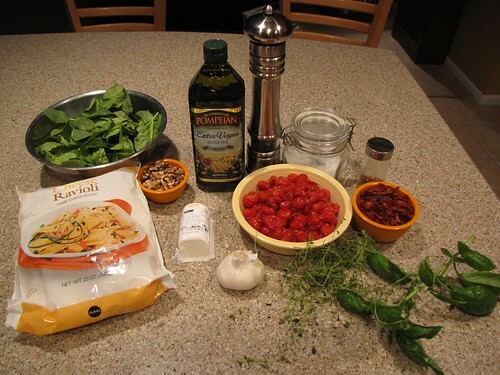 Gently pour the pesto coated ravioli and the roasted tomatoes on top of the spinach. The warm ravioli will slightly wilt the spinach. Top with some chopped fresh basil and dollops of creamy, tangy goat cheese. 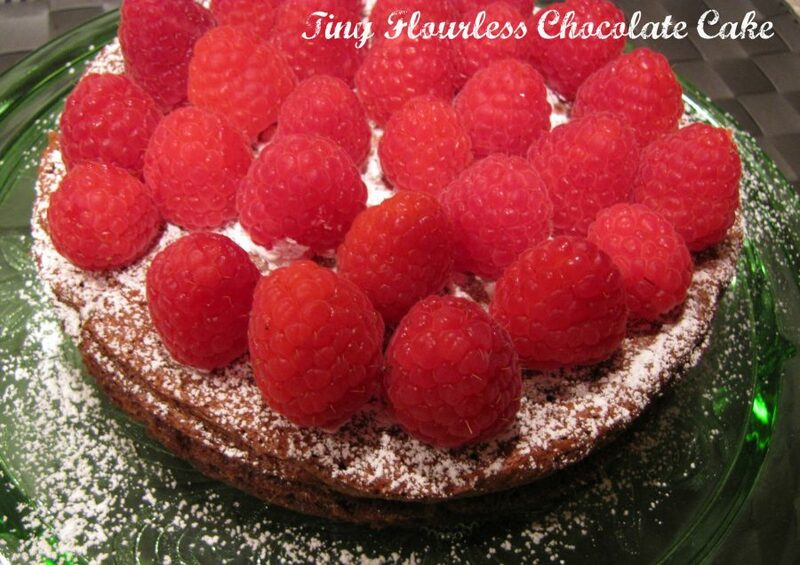 It’s one of the prettiest dishes I make. Easy too! You can roast the tomatoes ahead of time and put this all together in the time it takes to cook the pasta. Roasted Tomato Pesto Ravioli is one of my favorite meals. 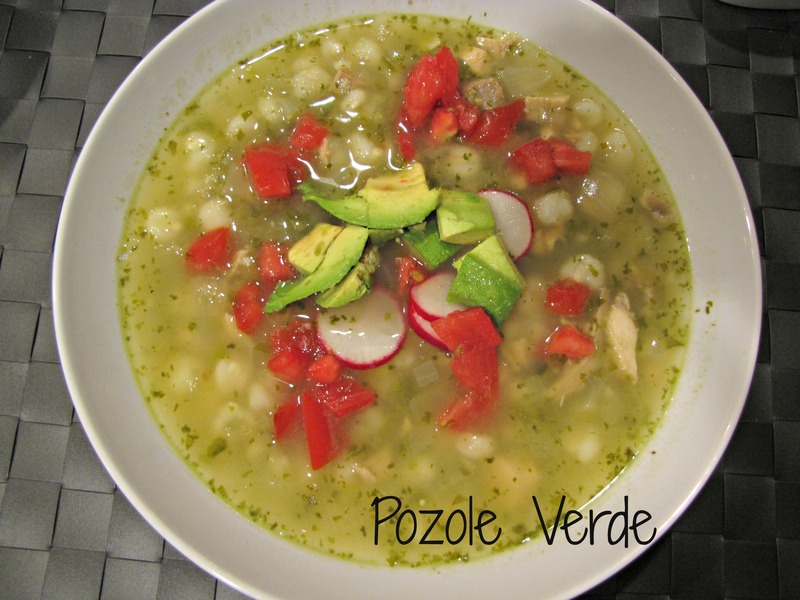 It’s fresh and tangy and creamy and savory and all round delicious. Well here you go….teaching me stuff. I had no idea that pesto could be other than basil! 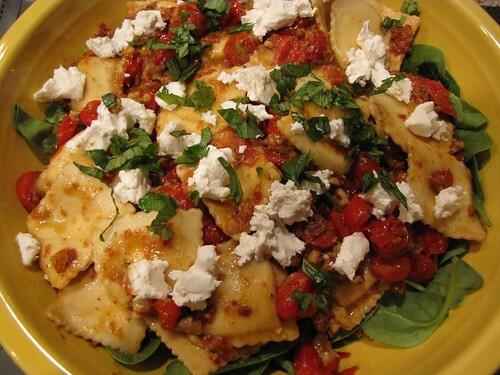 We do love us some ravioli around this house; this looks super tasty and fresh! Yep, it looks so good! I want some now.